Setting aside the time to create a will can be a challenge. In order for a will to be useful, however, it requires ongoing attention over the course of your lifetime. A recent survey of thousands of Americans found that, while a large number of individuals had a will, the majority were out-of-date. A number of studies have reported that approximately half of all US citizens have a valid will. However, this percentage is an underrepresentation due to the number of individuals who have wills which have been rendered obsolete by various life changes. 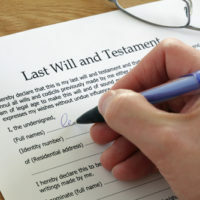 The proprietors of USLegalWills.com recently conducted a study on whether or not Americans’ wills are up to date. The study was based on over 2,000 survey responses conducted through Google Consumer Surveys, which asked participants questions about whether or not they had a will, their marital status, their income level, and whether they had experienced other major life events. The study found that only 28% of Americans had an up-to-date will when considering all respondents aged 18 and up, and only 33% of respondents aged 35 and up had up-to-date wills. Those aged 18 to 35 were least likely to have any sort of will at all, with only 5% of 18-24 year olds possessing an up-to-date will, and 14% of those between 23-35 having an up-to-date will. While it might seem understandable that a person under 40 would not think to create a will, even those who are older have allowed will creation and maintenance to slip. The USLegalWills.com survey found that 40% of Americans aged 55-64 had an up-to-date will, and 50% of those aged 65 and older had up-to-date wills. Interestingly enough, among income groups, those who were wealthiest (and thus had the best reason to have an accurate will) were the least likely to have kept their will up-to-date. What makes a will out-of-date? The study referenced above defined an out-of-date will as one that had been drafted prior to marriage or the birth of their children. This is a fairly limited definition of what can make a will out-of-date. Many other factors can affect a will’s accuracy, including fading relationships with family members, changes in tax and estate law, a change in income level, the purchase of a home, or a child’s divorce, to name only a few. Regularly updating your will with an experienced estate planning attorney will ensure that, even if you pass at an unexpectedly young age, your property will be distributed according to your wishes. If you have allowed your New York will to become out-of-date, speak with an experienced Hudson Valley estate planning attorney about revising your estate planning documents by calling Rusk, Wadlin, Heppner & Martuscello, LLP in Marlboro at 845-236-4411 or on Kingston at 845-331-4100.